The confirmation of Costco's recommitment to meet with organic growers showcases the success of the Meet the Grower event in 2017, which allowed for over 60 growers to meet with Costco buyers. The "Meet the Grower" session provides certified organic farmers and grower representatives the opportunity to meet face to face with Costco organic produce, wine, beer, dairy, meat and grain buyers to discuss their operations and products. "Costco is excited to be back at the Organic Grower Summit this year. We are committed to meeting directly with organic farmers, who are truly on the front lines of bringing top quality organic products to market. 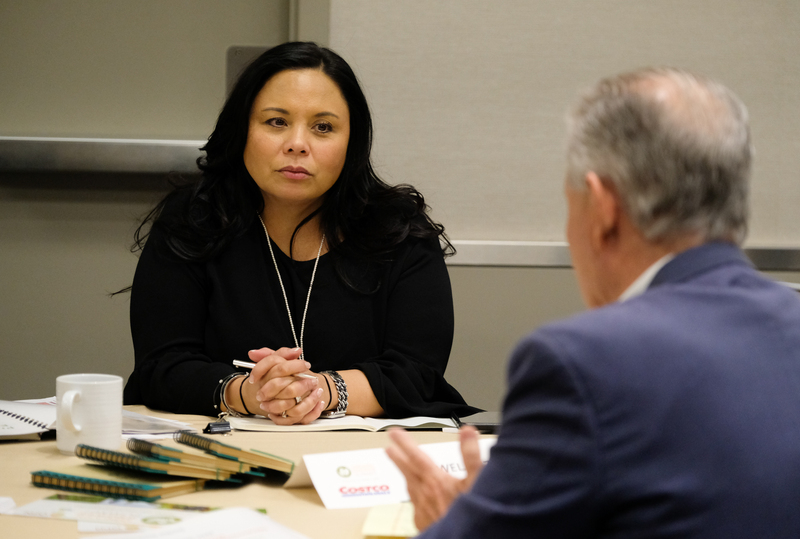 We appreciate the work OPN has done in putting together this unique opportunity to meet face to face with those responsible for actually growing organic products," said Heather Shavey, assistant vice president -general merchandise manager for Costco. "Our buying team is looking forward to learning more about organic production, hearing about new product innovations and building new supplier opportunities to meet the growing demand for organics for our shoppers." Heather Shavey meeting with an organic producer at OGS 2017. Tonya Antle, cofounder of the Organic Produce Network, said "OGS is delighted Costco is coming back to show their support of the certified organic farming community. This is a great opportunity to have organic farmers get in front of Costco to tell their story as part of the second annual OGS." OGS will be held December 12-13, at the Monterey Conference Center in Monterey, California. Attendee registration is $499, with discounts available for CCOF members and government and educational members. Attendees will also have the opportunity to purchase a ticket to the 2018 CannaBus Tour from 8 am – 12 pm on Wednesday, December 12th and the CCOF Foundation Dinner on Wednesday evening at 7:30 pm. Registration to OGS includes admittance to the opening reception, educational sessions, keynote presentations, breakfast, lunch and trade show floor.